Thank you for joining us today for the Pootler’s Blog Hop. This week’s Hop is all about using products from Stampin Up Spring/Summer Catalogue that went live on the 5th January 2016, and you can order products right up until 31st May 2016. 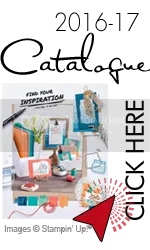 I just love a lot of the items that are available from here, and in fact I have shown a card recently using the “It’s My Party Suite” which you can view in a previous post. This week however, I am turning my thoughts to Easter ! Yes I know Christmas has just passed……..But Easter is the next holiday to look forward too with my children. I thought I would use the “Botanical Gardens” suite for this project. I love how easy, Stampin Up have made everything to match and co-ordinate, it makes crafting such a pleasure, not having to look for a matching piece of card that will go with the paper you have selected or an embellishment to give your project that final touch. It is all done for you! Not only that, but you can buy the Botanical Blooms Stamp Set, Botanical Gardens Designer Series Paper and the Botanical Builder Framelits Dies all in a bundle and save 15% in doing so. I Love a bargain , Who Doesn’t!!!! Here is my card this week, which was a lot of fun to make and really quick too. Once you have used the dies to cut out your elements it all comes together quite quickly. Why did I use the flower on the card? Well, as we in the UK, certainly in Lincoln, had a mild November and December all the Daffodils have came up and flowered. These are normally plentiful around Easter and I have always associated them with this holiday. So I am not sure what flower will take over this year but I will be sending this card to remind everyone that spring is here even if they can’t see any Daffodils. I hope you like it. What Stamps have you been using to make your cards to announce Spring? Thanks again for stopping by and now you will be going to see what the lovely Sandra has made for you. Just Click on the Next button to carry on Hopping. If you would like to look at any of the products mentioned in my post, you can do so by clicking on the link “shop” at the top right hand side of my page. There is a great offer on at the moment that if you spend £45 in any of the Catalogues you can earn a free product from the Sale-A-Bration catalogue ! FREE stuff again who doesn’t want that. Thank you jillian, I love them to and I have used them so much and so versatile too.